Umbilico is a circus school in Rosebery. Our brief was to create a simple and bright adaptive reuse renovation providing an aerial training space as the main focus whilst incorporating break out spaces to promote relaxation. 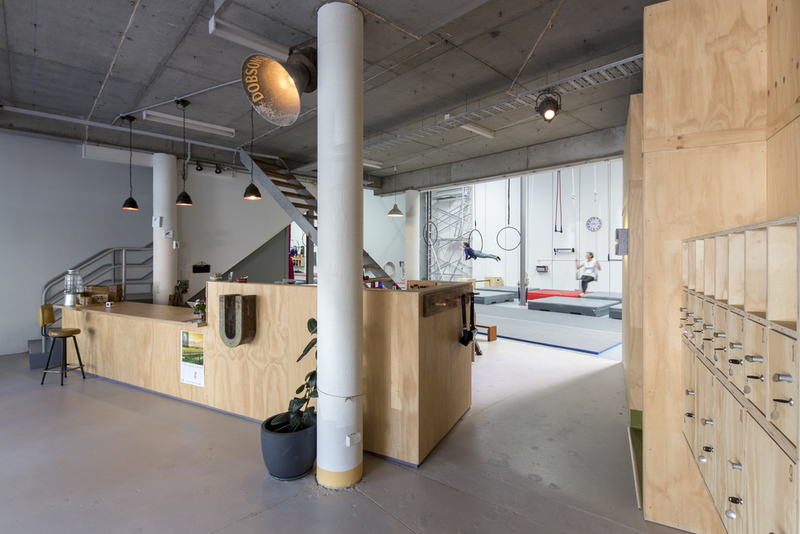 There are four zones that combine to make Umbilico - the Circus Arts Space, the Functional Fitness Station, the Studio and the Therapies Room. 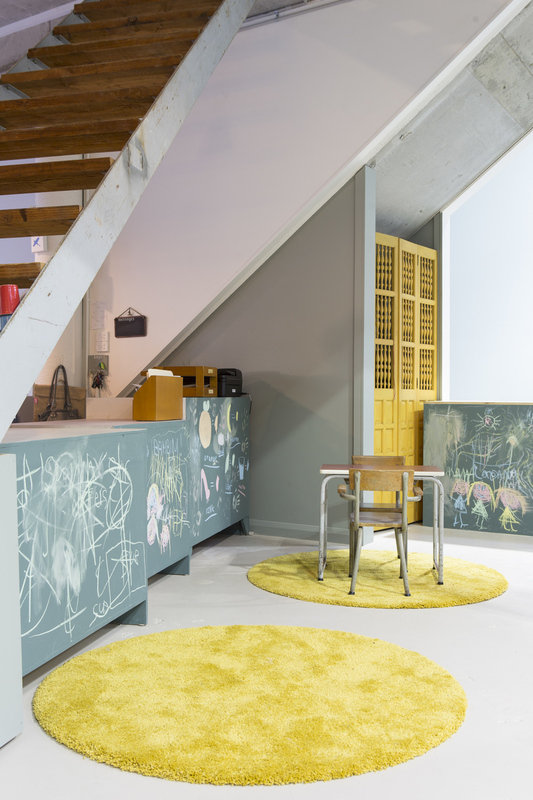 Colourful, durable and natural materials were used to create useable spaces within the existing warehouse space. Sustainable and ethical material choices were integral to the design of the project and a large part of the brief from Umbilico.